Duo gift box which includes a hand wash and hand Lotion which are made in London using natural ingredients. It is presented in a stylish minimal box that is made using 100% recycled paper and are designed to be re-useable but are also 100% recyclable. 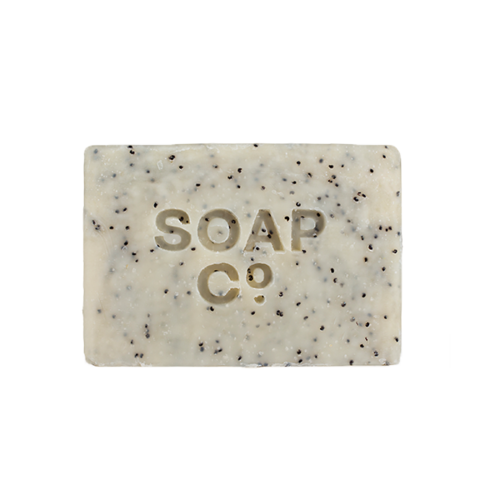 Black Poppy & Wild Fig - Rich and moisturising with a lovely warm aroma, helps to cleanse and moisturise your skin. Citrus - Refreshing citrus tones which moisturises your skin naturally with a summery fresh scent. White Tea - Leave your skin feeling smooth and revitalises with a gorgeous subtle fragrance. Each product has added Aloe vera and tea tree oil which have healing and soothing properties alongside pro-vitamin B5 for hydration and cocoa butter for added moisturising effect. Black Poppy & Wild Fig - Aqua (Water), Sodium Laureth Sulfate, Sodium Chloride, Cocamide DEA, Glycerin, Alcohol Denat, Parfum, (Fragrance with Natural Oils)*, Hexyl cinnamal, Alpha-iso-Methyl lonone, Aloe Barbadensis Leaf Juice (Aloe Vera), Potassium Sorbate, Sodium Benzoate, Citric Acid, Benzyl Alcohol, Methylchloroisothiazolinone and Methylisothiazolinone, Melaleuca Alternifolia (Tea Tree) Leaf oil*, Panthenol (Provitamin B5). Citrus - Aqua (Water), Sodium Laureth Sulfate, Sodium Chloride, Cocamide DEA, Glycerin, Alcohol Denat, Parfum (Fragrance with Natural Oils)*, Limonene*, Aloe Barbadensis Leaf Juice (Aloe Vera), Potassium Sorbate, Sodium Benzoate, Citric Acid Benzyl Alcohol, Methylchloroisothiazolinone and Methylisothiazolinone Melaleuca Alternifolia (Tea Tree) Leaf oil*, Panthenol (Provitamin B5). White Tea - Aqua (Water), Sodium Laureth Sulfate, Sodium Chloride, Cocamide DEA, Alcohol Denat, Glycerin, Parfum (Fragrance), Aloe Barbadensis Leaf Juice (Aloe Vera), Potassium Sorbate, Sodium Benzoate, Citric Acid, Benzyl Alcohol, Methylchloroisothiazolinone and Methylisothiazolinone Melaleuca Alternifolia Leaf oil (Tea Tree oil)*, Panthenol (Provitamin B5). Black Poppy and Wild Fig - Aqua (water), Stearic Acid, Paraffinum Liquidum (Mineral Oil), Cetearyl Alcohol, Glycerin, Glyceryl Stearate, SE Theobroma cacao (Cocoa) Seed Butter, Triethanolamine, Parfum (Fragrance with Natural oils)*, Diazolidinyl Urea, Aloe Barbadensis Leaf Juice (Aloe Vera), Potassium Sorbate, Sodium Benzoate, Citric Acid, Panthenol (Provitamin B5), Melaleuca Alternifolia (Tea Tree) Leaf oil*. Citrus - Aqua (water), Stearic Acid, Paraffinum Liquidum (Mineral Oil), Cetearyl Alcohol, Glycerin, Glyceryl Stearate SE, Theobroma cacao (Cocoa) Seed Butter, Triethanolamine, Diazolidinyl Urea, Parfum (Fragrance with Natural oils)*, Limonene*, Citral*, Aloe Barbadensis Leaf Juice (Aloe Vera), Potassium Sorbate, Sodium Benzoate, Citric Acid, Panthenol (Provitamin B5), Melaleuca Alternifolia (Tea Tree) Leaf oil*. White Tea - Aqua (water), Stearic Acid, Paraffinum Liquidum (Mineral Oil), Cetearyl Alcohol, Glycerin, Glyceryl Stearate SE, Theobroma cacao (Cocoa) Seed Butter, Triethanolamine, Parfum (Fragrance), Diazolidinyl Urea, Aloe Barbadensis Leaf Juice (Aloe Vera), Potassium Sorbate, Sodium Benzoate, Citric Acid, Panthenol (Provitamin B5), Melaleuca Alternifolia (Tea Tree) Leaf oil*. * - a natural component of essential oils. Product Packaging - Each bottle is made in the UK from high-density polyethylene (HDPE) with 25% post consumer regrind HDPE. When compared to PET bottles, normal HDPE bottles release 37% less carbon. Soap Co. have made sure 25% of our HDPE is sourced from “post consumer regrind” (PCR) which allows your old milk bottles to be reused to make our bottles and then fully recycled into more bottles in the future. Using this PCR material allows a further 10% reduction in carbon meaning our bottles have around 45% lower environmental impact than regular PET bottles. Reusable 100% recycled paper box. 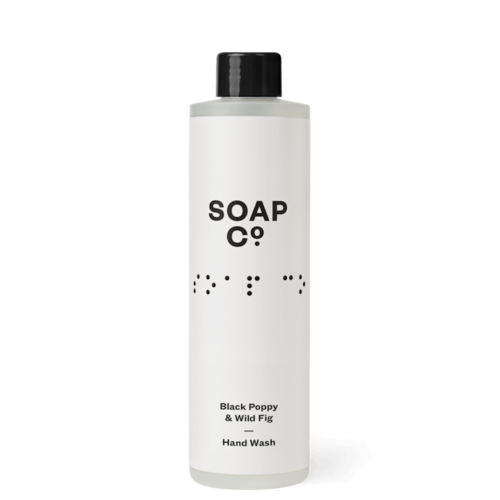 The Soap Co is part of Clarity, the oldest social enterprise in the UK and all their soap is handcrafted using natural ingredients in the UK by people who are visually impaired, disabled or otherwise disadvantaged. The Soap Co is committed to using only luxurious and effective natural botanicals, nourishing vitamins and pure essential oils whilst all packaged in innovative sustainable packaging as they strive to reduce the impact of their products on the environment. Delivery Packaging - Small order: Jiffy Bag. Larger order: Small cardboard box (recyclable).